MONTREAL — Canadians will purchase a record number of electric vehicles this year as the growing sales of cars with longer ranges is prompting a push to increase the number of fast chargers, the head of the country's largest charging network says. AddEnergie CEO Louis Tremblay says its Flo network of 4,000 charging stations includes just 150 fast chargers. That's fine when 60 per cent of electric cars in some provinces are plug-in hybrids that include internal combustion engines and almost 80 per cent of vehicle charging is done overnight at home. But as ranges increase, there will be more need to support their use for intercity travel, Tremblay said. "I see a big shift coming," he said in an interview from Calgary. By early 2019, AddEnergie is targeting to have 6,300 public and semi-public charging stations, including 300 fast-charging units. "While the car will have double the autonomy, we'll be doubling, tripling the fast charging network and we'll have more and more intercity travel by full electric cars," he said. Navigant Research estimates global sales of chargers are expected to surpass six million in 2026, up from around 875,000 this year. The number includes fast chargers which annual sales are forecast to grow from 19,000 units to more than 70,000. 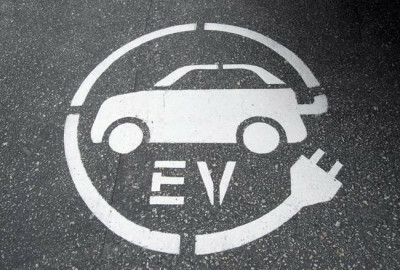 In Canada, it says the number of chargers sold annually will increase to 80,000 by 2026 from 10,000 currently. AddEnergie entered Canada's home charging market this year, installing 3,000 units. That is expected to increase to 12,000 home units in early 2019. Tremblay's strategy is to offer charging options at home, work and on the road that will reduce range anxiety and make Canadians more comfortable to switch to electric from gas-powered vehicles. Some 20,000 electric vehicles are expected to be sold in 2017, up from about 11,000 in 2016. Navigant forecasts that Canadian electric vehicle sales will grow at a compounded annual rate of 29 per cent to reach about 140,000 per year in 2026. Cara Clairman, CEO of electric vehicle advocacy group Plug'n Drive, said sales this year have been "amazing." "It took the first couple of years to sell the first 20,000 and then basically in the last year and a bit we sold the next 20,000 so it's really picking up steam," she said from Toronto. The boost in sales is largely driven by growing interest in Ontario, where sales in some months this year surpassed market leader Quebec. The addition of new models, growing public awareness of electric vehicles and generous incentives ranging up to $14,000 has supported Ontario sales. Still, electric vehicles account for less than one per cent of the more than two million automobiles expected to be sold this year in Canada. "It's small but it is growing even relative to other cars. It's a segment that's growing faster than other car sales," Clairman said. While she said Ontario does need more chargers, the situation is better than some think since public charging serves just 15 to 20 per cent of the needs, mainly for longer trips. Clairman said people need to get away from a "gas station mind set" since most charging is down at home. "The people who are concerned about public charging tend to be people who don't yet have an EV because they imagine that's a scenario that they'll need," she added.